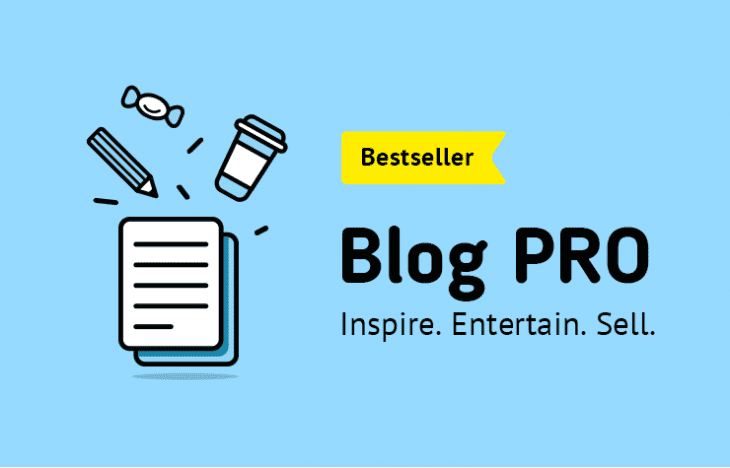 The Blog module you have all been waiting for. Feature rich, native opencart blog engine that was specifically developed to seamlessly integrate into your opencart shop and improve your customer relations. Posts, Categories, Authors, Comments, Modules, Export/import, flexibly admin. 6 awesome designs with bootstrap out of the box plus many more to come. Rich snippets for Google, handlebars and partials, DRY code. You can enable practically any feature from the admin panel: comments, images in comments, guest commenting, images in posts, sub categories on category page, rating, image sizes and much more. Increase customer trust with social login integration. Now you can show customers profile images from their social network pages next to their reviews. With our unique option you can set basically any kind of layout for your posts on category and author pages. Say you want the first post to be the biggest and then have two smaller posts on one row — now you can. And it's very easy by the way. We know how much design is important for great sales. Customer will enjoy reading your blog with any of our 6 beautiful designs or you can order a custom design from us via our support sytem. It’s a standard in Dreamvention to make every product mobile friendly so that you won’t have to worry about your customer on the go. They can enjoy all the functionality available on the desktop version. SEO is sales — we know that. That’s why we took the time to integrate all the necessary code like breadcrumbs, rich snippets, tags, metas and more to let you focus on the content and your customers. You administrate your blog in excel with our export/import option. Download and edit in excel and then upload. You can migrate using this option as well. Let your readers engage with your content. Leave reviews with images and stars, reply to the reviews as the author or the administrator. Install, update and delete any extension with a click of a button and version control. Not ftp required. All modules have a json-passport file, that keeps trek of all changes and important information, like version, changelog and dependencies. Reuse tested code from other developers for rapid development. All extensions follow rules that will keep your opencart code clean. Best of the blog modules ever created for opencart.